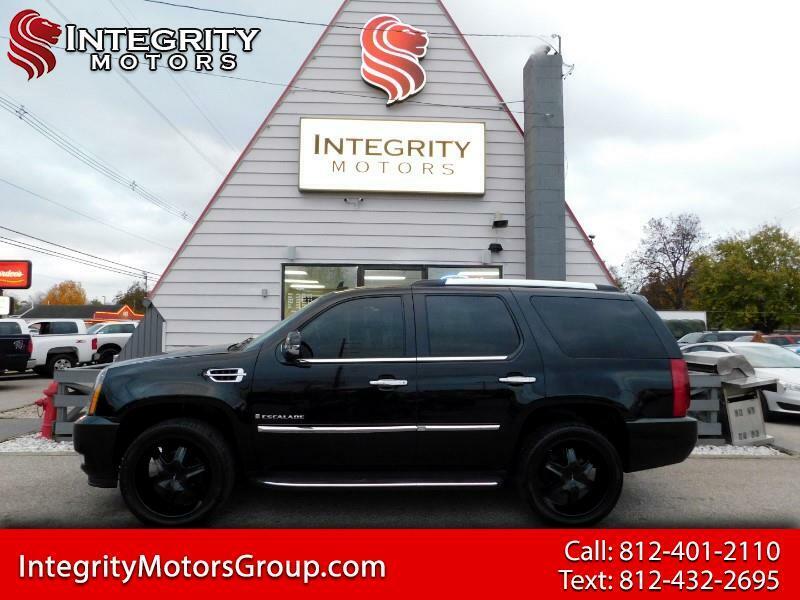 Black Raven 2007 Cadillac Escalade AWD 6-Speed Automatic HD Electronic with Overdrive Vortec 6.2L V8 SFI CLEAN CARFAX, AWD, Ebony/Ebony Leather, Climate Package, Heated & Cooled Driver & Front Passenger Seats, Heated rear seats, Heated Steering Wheel, Power Tilt-Sliding Sunroof, Rear Seat Entertainment System. Recent Arrival! Odometer is 16036 miles below market average!